No only Jungles but all villages,cities and metros knew that 'Chaddi Pehan Ke Phool Khila Hai' back in the nineties. I still remember this show used to air on Doordarshan on Sundays at 10 AM and all roads/streets wear a deserted look at that particular time. It was the time when there was no round the clock cartoon channels and we children of 90's waited for these few animated shows on Sundays. We used to sing the title song entire day, this song was even allowed in Antakshri the favorite time-pass game of that era in which you have to sing songs in chain where the last alphabet of first song became the first alphabet of the second song. This one was favorite when you were required to sing from Hindi alphabet 'Ja' (ज )'. We also competed in boomerang throwing competitions. You must have remember that boomerang was Mowgli's weapon but the one we used in competitions were plastic made and they were unlike his wooden boomerang which returned to him after the assault, we ran to fetch them back to us. The recent Disney's 'The Jungle Book' which is releasing on 8th April in India brought back all childhood memories. Even the song' 'Jungle Jungle Pata Chala' was recreated for the Hindi version by original composer Vishal Bhardwaj and Lyricist Gulzaar. Each and every moment of this show was memorable. Although now I don't remember the episode to episode scenes but there are still fresh flashes of most of the scene. This was the story of Mowgli who get separated from his parents as a toddler and reared by wolves as wolves in jungle. Baloo ( a bear), Bagheera(a black panther), Kaa (python) were his friends and mentors. Sher Khan a royal Bengal Tiger who was the killer of his wolf father was his main enemy. Mowgli killed Sher Khan and also discovered himself as human being after coming in contact of human settlement near the forest. The moment from the show which I recalled the most was the encounter of Sher Khan and Mowgli. Nana Patekar's voice over on Sher Khan gave the weight-age to his character. Mowgli knew about his wolf father's given injury in Sher Khan's leg which he attacked again to make him weak. Mowgli then attacks his head,his eyes and finally kills him by piercing his heart. In my childhood days I also wanted to swing from one tree to another, I searched for honey like Baloo in many tree trunks and tried to make a wooden boomerang which broke glass window at many occasions. This show has many memories because it remained the topic of discussion in school also. Later when it rerun on many satellite channels I again watched many of its episodes. They don't pick such stories to make shows these days which taught values of friendship,family and brotherhood. Such shows makes us sensitive towards animals and environmental problems. I want to thank Rudyard Kipling for writing such a wonderful 'The Jungle Book' , The TV Tokyo for making original series and Doordarshan for making it available in India in Hindi. 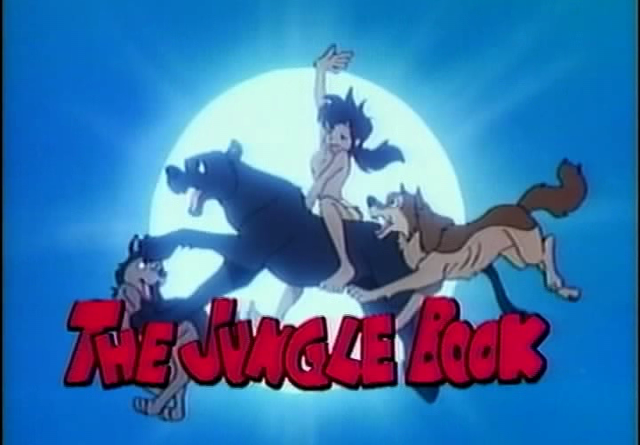 I also like to thank Disney for popularizing jungle book and keeping it alive through movies. I am excited to watch this new movie releasing in theaters on 8th April. You've given a great tribute to everybody connected with the series. Jungle jungle baat chali hai, pata chala hai, arai chaddi paihan kai phul khila hai, phul khila hai! Aha!! The epic show of childhood and nothing beats that! !